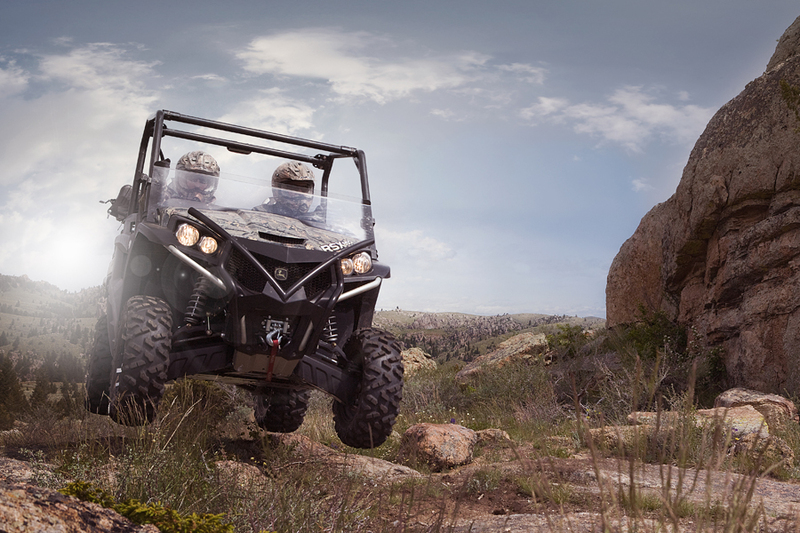 For over a decade now, John Deere has been on the cusp of the ORV industry. A legend in the agricultural and landscape industry and with their Gator utility vehicle sitting just outside the powersports realm, there was never any doubt whether or not they could do it. It was just a question of when they finally would. With the growing popularity of the side-by-side world encroaching on them they finally decided it was time to make their entrance. Introducing the John Deere RSX850i. 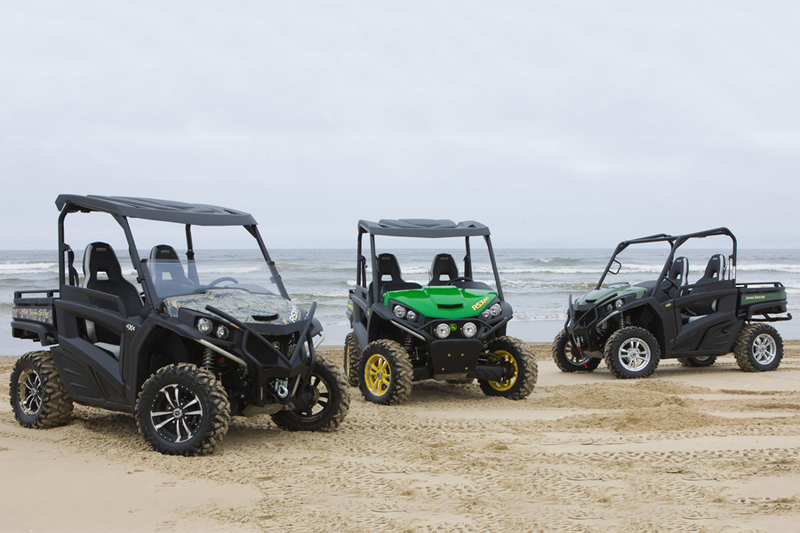 The 2013 John Deere Gator RSX850i Line Up. John Deere stock photo. The RSX850i enters the power sports world showing it knows what it takes to be considered. It’s powered by a 839cc v-twin that produces 62 hp and 59.5 lb-ft of torque according to Deere. It tops out at 53 mph and reaches 30 mph in 3 seconds. It has fully locking four-wheel drive and four-wheel hydraulic disc brakes. It’s up for any task with 400 lbs of capacity in the dumping cargo box. 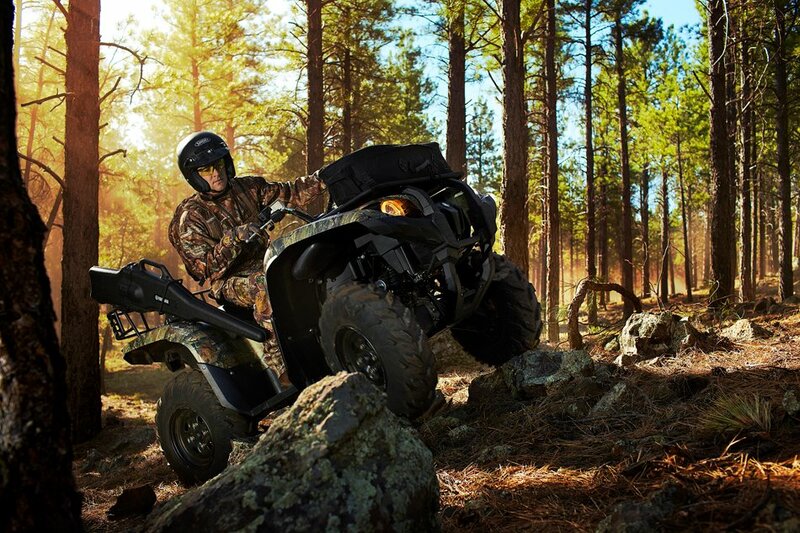 The base model RSX850i carries an MSRP if $12,999 and is available in three color schemes including traditional John Deere green/yellow, olive/black and REALTREE HARDWOODS HD camo. 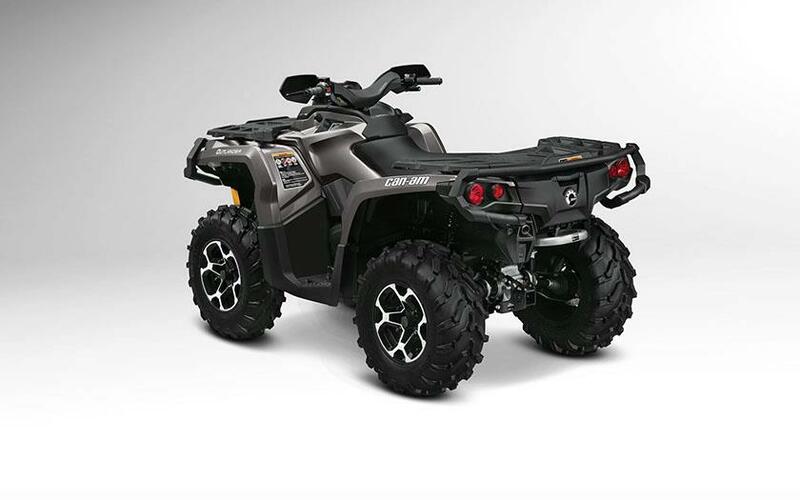 The Gator RSX850i Sport with FOX 2.0 suspension. John Deere stock photo. 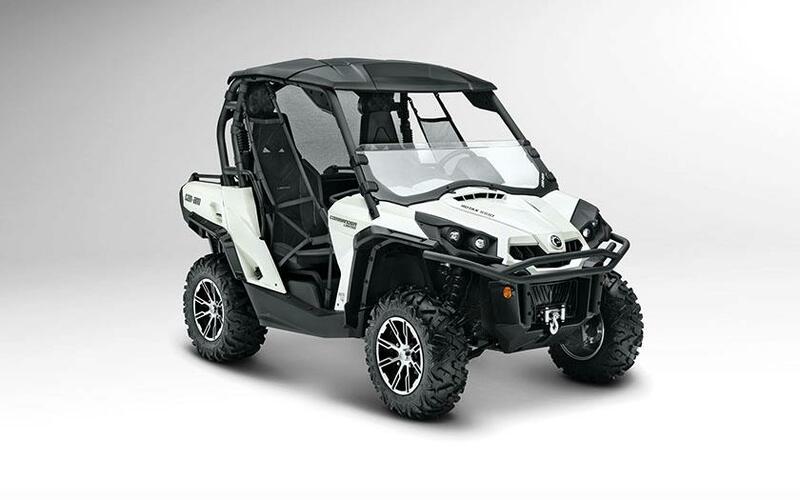 For added excitement the Gator RSX850i can be picked up in Sport or Trail packages. The Sport model upgrades the steel wheels to alloy wheels and Maxxis Bighorn 2.0 tires. You’ll also get a pre-runner front bumper, a sport steering wheel, 35.5 inch sport seats and cargo box rails. To balance out the sport use you’ll get FOX 2.0 Perormance Series shocks on the corners. MSRP on the Sport model is $15,499. The Trail package also has the alloy wheel upgrade, sport seats and cargo box rails. You get an aggressive front brushguard with a Warn winch up front and a rear bumper but lose the FOX suspension. The FOX suspension is an available add-on for the base and Trail models. MSRP on the Trail package is $14,999. John Deere has a full line of accessories available for each model including a huge selection of HELLA lights, cab enclosures, storage, etc. 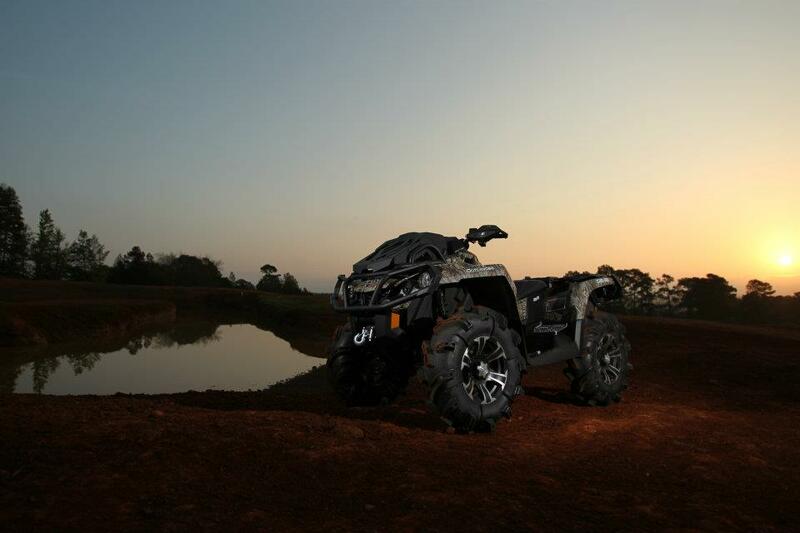 The WARN equipped Gator RSX850i Trail model. John Deere Stock photo. 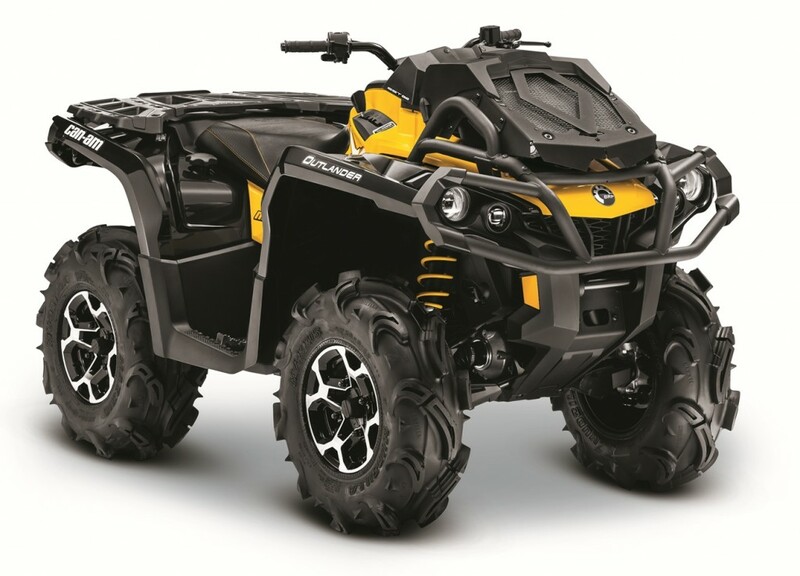 Deere tags the RSX850i as “a whole new species of Gator” and it certainly is. And while it may not be revolutionary against the existing competition it doesn’t come in behind either. So next time you’re on the trail don’t be surprised to see a Deere. 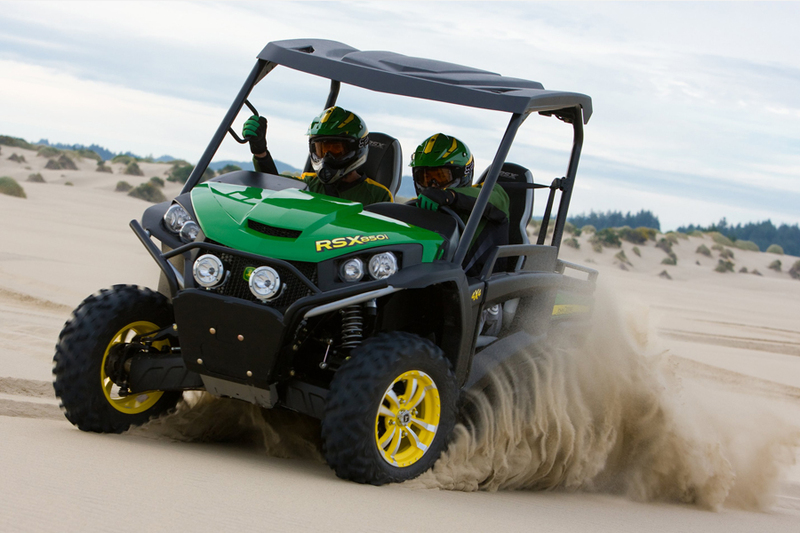 Get more information on the Gator RSX850i at http://www.deere.com. 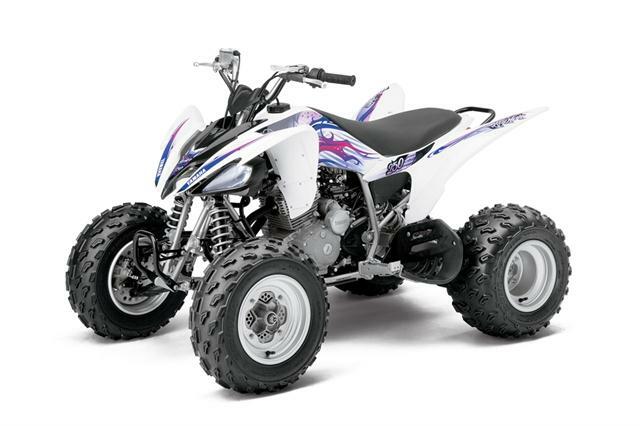 Big news is out from Polaris Industries as they introduce their 2013 Sport ATV Lineup with the new Scrambler 850 poster child. The Scrambler enters the market as the only challenger to the Can-Am Renegade and it certainly looks ready for the fight. Introducing the 2013 Polaris Scrambler 850 base model. Stock Polaris photo. The Scrambler 850 replaces the previous Scrambler 500. The 850 is powered by a high-output SOHC engine with twin electronic fuel injectors (EFI). Expect 77 horsepower from this rocket. The new Scrambler also has all new styling and on-demand four-wheel drive that engages when the rear tires lose traction and disengages when it’s not needed. The Scrambler has 12 inches of ground clearance and 10/25 inches of IRS travel. It also has 75 pounds of rack capacity to help make a full day out of your riding adventure. The basic model is found in white and has an MSRP of $9,499. The 2013 Polaris Scrambler 850 EPS LE. Stock Polaris photo. The 2013 Polaris Scrambler 850 is also available in an EPS Stealth Black LE with proven FOX Podium 1.0 shocks and Electronic Power Steering. The LE model also adds a digital dash, LED lights, handguards and black cast aluminum wheels. MSRP on the LE is $11,999. 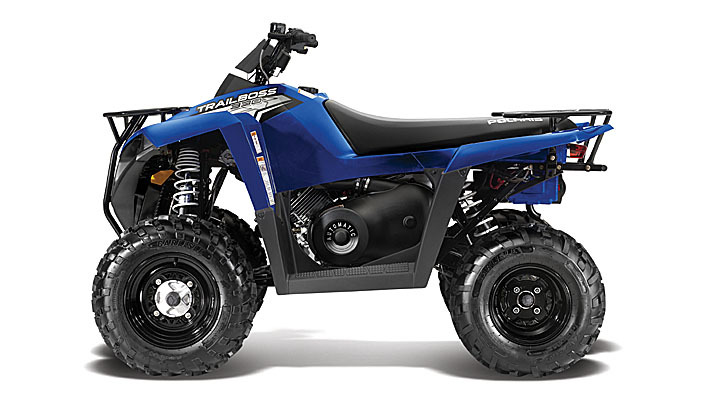 The 2013 Polaris Trail Boss 330. Stock Polaris photo. Returning for 2013 are the Trail Boss 330, Trail Blazer 330 and Phoenix 200 models. Virtually unchanged from 2012 the Trail Boss and Trail Blazer are basically the same unit simply with or without racks. Both two-wheel drive units carry and MSRP of $4,399. The Phoenix 200 continues to be a stable mid-model for youths too big for entry units but not yet age appropriate for full size. It carries an MSRP of $3,599. 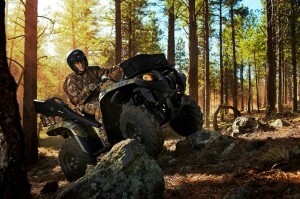 See more details on the Scrambler 850 and other Polaris models at http://www.polaris.com/en-us/atv-quad/sport-atvs. Honda fans don’t have much news to be excited about in the 2013 model year. Honda released details and specs on the 2013 models in the utility, sport and side-by-side class with more changes to the price tags then anything else. 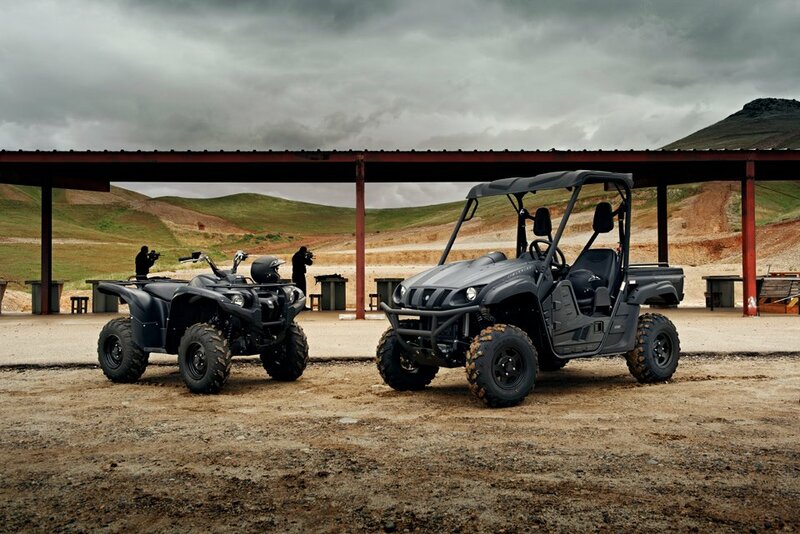 Some units MSRP for 2013 have not yet been published but, so far, every model has a higher MSRP except for the entry youth TRX90X which stays at $2,999. New paint on the 2013 Honda TRX450R. Honda stock photo. 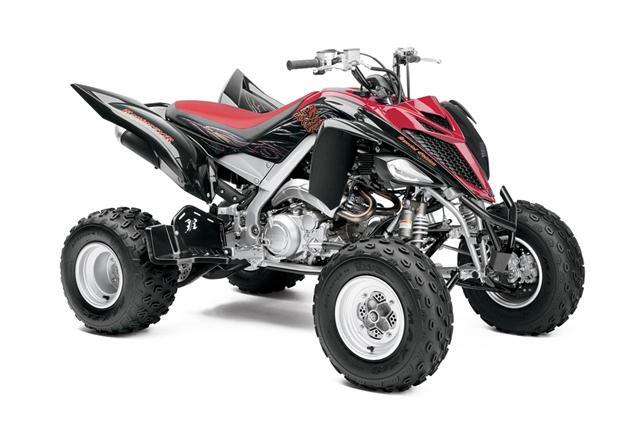 The only other mentionable changes for Honda’s offroad line is the seat height on most Rancher units goes up a half inch and the sport lineup will see some changes in color options. 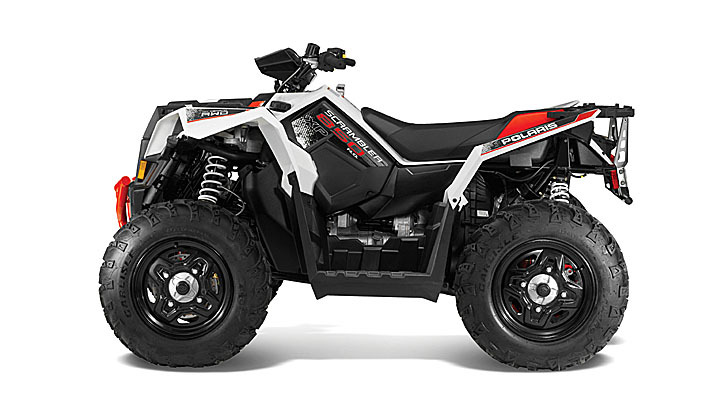 It seems that Honda is vastly ignoring the ATV industry due to its declined sales. Honda will have a good bit of catching up to do when they decide to get back in the game. Now assembled in the USA! 2013 Yamaha Raptor 700 with the Patriot graphics. Yamaha stock photo. 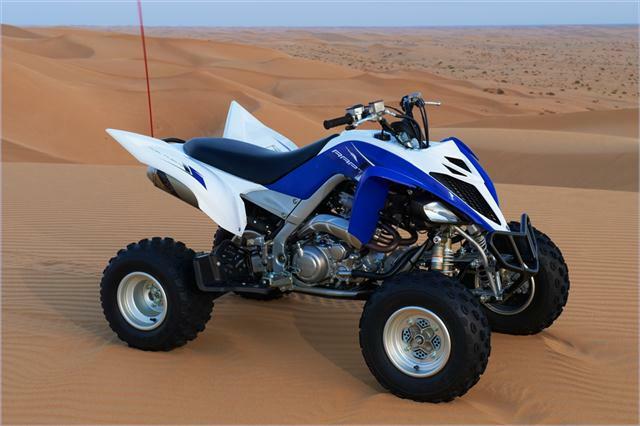 Yamaha continues a tradition of thrills with their announcement of the 2013 sport ATV lineup, including the redesigned Raptor 700’s. 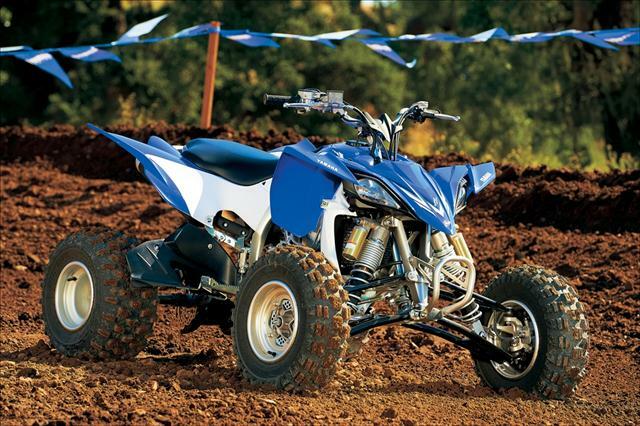 The 2013 Yamaha sport line features a total of 10 different machines, the largest offering in the industry. 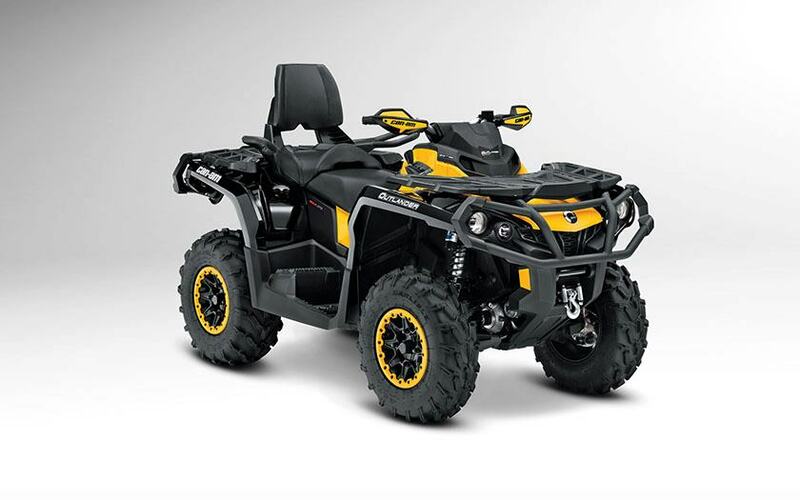 Only Can-Am even comes close with their 8 sport models. 2013 Yamaha Raptor 700R SE. Yamaha stock photo. 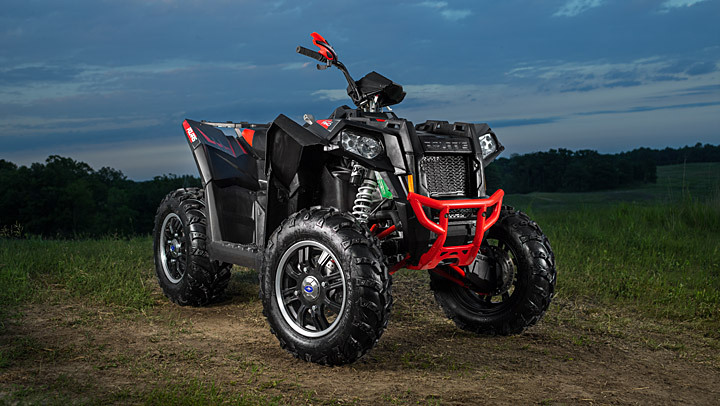 The Raptor 700’s are sporting a new style thanks to resculptured plastics. New stopping power is backed by twin piston rear braker calipers and Maxxis rubber replaces the Dunlop tires that have served previous Raptor models. 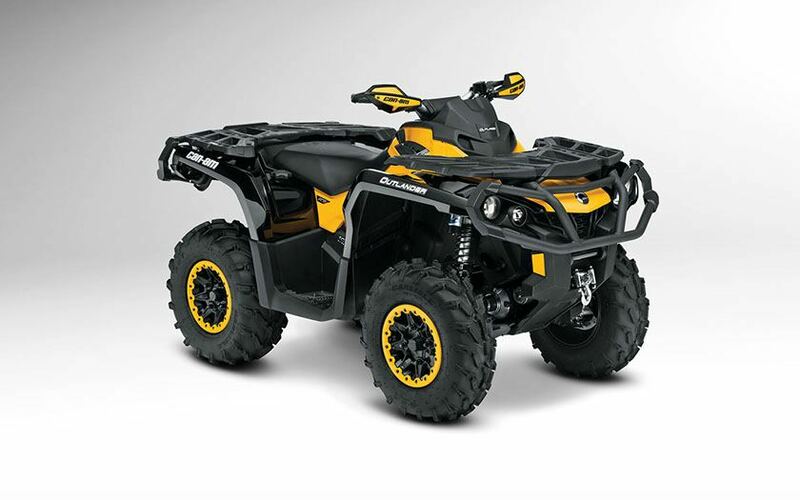 The all-new base 700 model starts at $7,699. The Raptor 700R gets new piggyback shocks all around and an adjustable front brake lever to tune to your desires for $8,099. The 700R Special Edition (SE) also adds custom graphics and a GYTR front grab bar and heel guards all for $8,799, a $200 drop from last years model. Perhaps the biggest news is the Raptor 700’s are now assembled right here in the USA. 2013 Yamaha Raptor 700R with the Yamaha Sport Front Grab Bar. Yamaha stock photo. 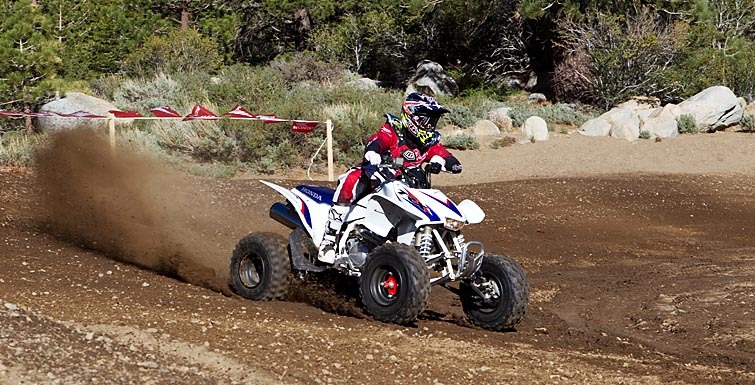 The race ready YFZ450, YFZ450R and YFZ450R Special Edition units return this year virtually unchanged. On the otherhand, is there much you can really improve on in the YFZ line? 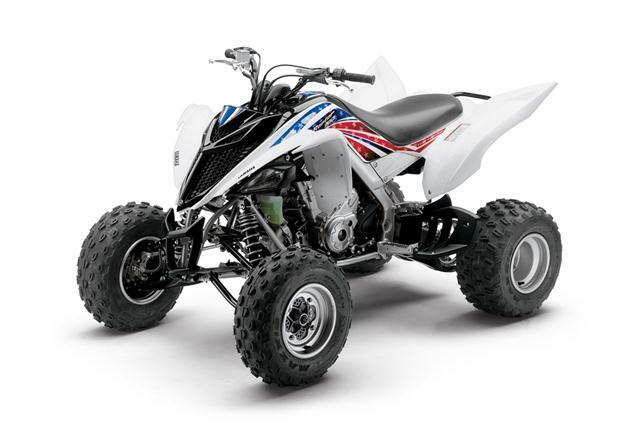 The YFZ450R SE and YFZ450R pricetags stay firm at $8,949 and $8,599 respectively while the YFZ450 goes up $100 to $6,899. 2013 Yamaha YFZ450R. Yamaha stock photo. The Raptor 350, 250, 125 and 90 also go unchanged for 2013 continuing to capitalize on the proven recipe. The Raptor 250 and 90 keep the same price point as last year at $4,599 and $2,699 while the Raptor 350 and 125 each add $100 for $5,599 and $3,499. 2013 Yamaha Raptor 250 with Nebula graphics. Yamaha stock photo. Last year Yamaha introduced custom graphics packages for certain units that were available in white. 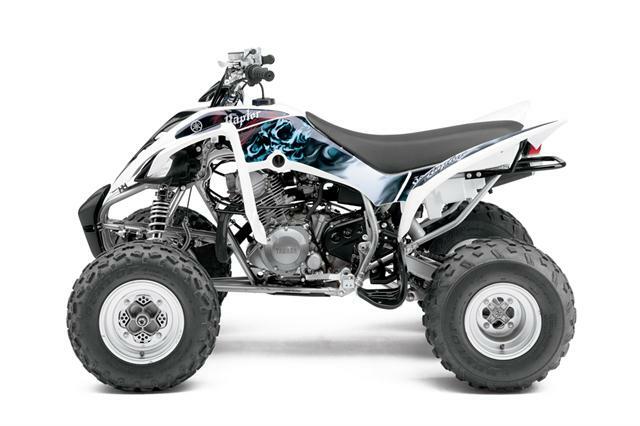 That trend continues with new graphics for the YFZ450R, YFZ450, and Raptor 350, 250, 125 and 90. 2013 Yamaha Raptor 350 with skulls and flames graphics. Yamaha stock photo.